Having acquired considerable fame after the publication of the Persian Letters in 1721, it was natural that Montesquieu should become spokesman for the winegrowers of Bordeaux whenever necessary, and whenever his personal interests were involved. 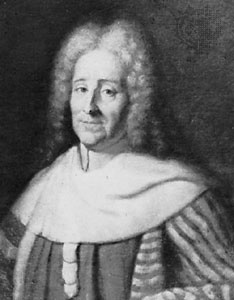 The most notable case was in 1727, when he opposed an order to prohibit planting by the district administrator, Boucher due to a serious overproduction crisis. Montesquieu had just bought several hectares of land next to Haut Brion. He therefore wrote a statement of the case, which was of collective interest, and sent it to the higher echelons of the administration. The statement was a carefully formulated plea against the measure, denouncing its lack of strategic judgement. Full of good sense, it was not dissimilar to a modern market presentation of international competition and commercial opportunities for Bordeaux’s wines. He concluded that the world’s consumption of wine was increasing, with very varied demands, which could be met by the great diversity that existed in the wines of Bordeaux.. If this opportunity was not seized by the wines of Aquitaine, then it would be seized by other French or foreign vineyards. It is a pleasure to read for anyone who is fond of wine and history.